The South South zone of the Federal Road Safety Corps (FRSC), has organised a three-day Health Week to ascertain the health status of commercial drivers in the zone. 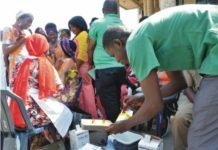 The Zonal Commanding Officer, Kingsley Agowo, who revealed this to The Tide in Port Harcourt, last Thursday noted that the free medical check-up was organised in conjunction with the Nigeria Medical Association (NMA) to ensure that commercial drivers operating on the roads enjoy good sight and health conditions. 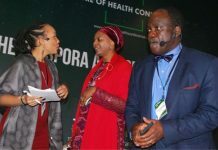 Agowo stated that some drivers lose their lives while on steering due to poor health conditions, pointing out that the programme was an opportunity for the drivers to ensure that they are medically fit to be on the road. He noted with satisfaction that the health officials had ascertained the blood pressure, sight and other conditions of the drivers, stressing that fitness and proper sight was essential for the safety of lives of the people in transit. Agowo, however, advised the drivers to imbibe the right attitude while on the road by being disciplined and law-abiding for safety purposes. Also speaking, the Rivers State Sector Commander of the corps, Mr Imoh Etuk noted that with sound mind, the drivers would obey traffic rules and regulation and called for a change in attitude in order to maintain standard and safety on the road. In his remarks, the state Chairman of NMA, Dr. Datonye Alasia commended the FRSC for the exercise, adding that the programme should be taken seriously in order to reduce loss of lives and property on the roads due to health-related problems. 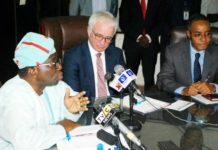 Alasia affirmed the association’s support to FRSC and urged blood donors to continue to donate blood to save lives, in case of road accidents and other emergencies. Also, the Chairman, Medical Women Association of Nigeria, Rivers State chapter, Dr Maria Krukrubo noted that many road accidents were due largely to poor health conditions of divers and cautioned commercial drivers to ensure healthy lives to avoid road accidents.